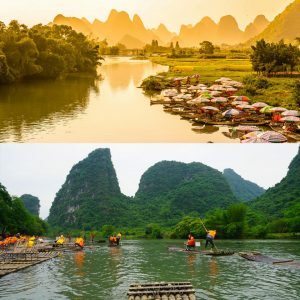 Ranking 9th in all of China as the most popular destination, Yangshuo is undoubtedly the most quaint, picturesque and marvellous county in Guilin. Located alongside the Li River, this blissful heaven is surrounded by beautiful scenery and sky-high mountains that are perfect for both adventure and relaxation. For adventure enthusiasts out there, what better way to explore the mountains than to actually climb them? Since limestone peaks are suitable for all experience levels, beginners can join in on the fun as well! There are a number of rock climbing companies in Yangshuo that can set you up with all the necessary gear and safety equipment. Now, enjoy the thrill! 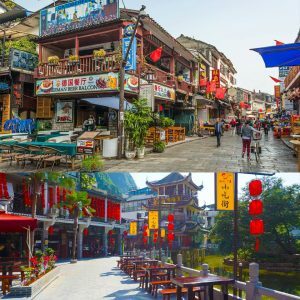 West Street is Yangshuo’s oldest street, dating back 1,400 years. It is situated right in the heart of Yangshuo and is a tourist favourite. Here, visitors can get a glimpse into ancient Chinese civilisation and stroll amongst the quaint shops and restaurants. Calm and quiet in the morning but vivacious and lively in the evening, West Street guarantees you diversity and is definitely worth a visit. Another way of truly indulging in the landscape is rafting down the Yulong River, a peaceful river with not a lot of boat traffic. The trip usually takes around 45 minutes and during the warmer months, you can engage in friendly water fights with fellow rafters! 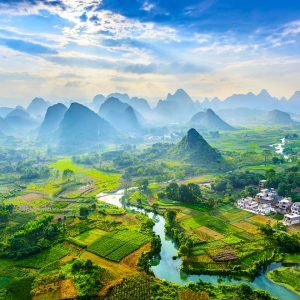 There’s no better place to cycle than Yangshuo. 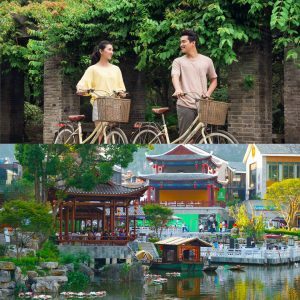 As cycling has been the tourists’ mode of transportation for years, Yangshuo has bicycle lanes and paved streets everywhere you go. We think you’ll find cycling a truly wonderful experience and a great way to enjoy the gorgeous landscape. 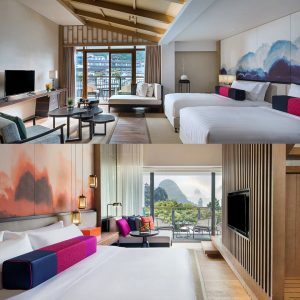 Just steps away from West Street and offering stunning views of Yangshuo from a private balcony, Amari Yangshuo Guilin is the ultimate paradise. Comfortable, cosy, convenient–what else do you need? Unearth the hidden charms and unimaginable beauty, unearth lifetime moments, discover Yangshuo with Amari.